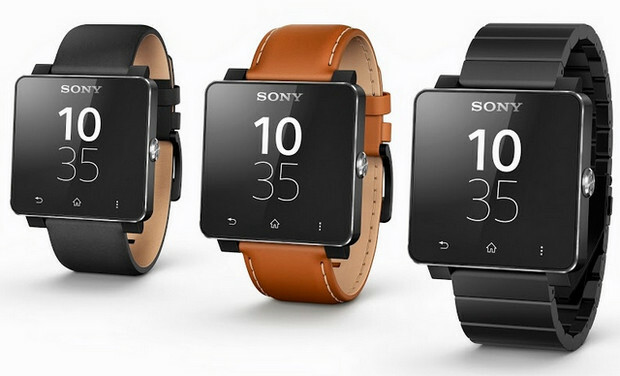 So, I’ve been using the Smartwatch 2 by Sony for a few months now and generally liking the experience, this is actually Sony’s third attempt at a smartwatch, and although they are not going to set the industry on fire with this product they have got a lot right. I hadn’t actually worn a watch since I was about 15 so it took a bit of getting used to, it’s quite heavy and bulkier than a normal watch, but not by much. It’s surprisingly comfortable to wear and I don’t even take it off at night any more, the strap is a standard fit so you can change the comfortable but plain rubber strap it comes with. I have found that the watch has popped out of the strap a couple of times, it isn’t hard to put it back in but I would be a lot happier if it was a bit more secure. You can easily buy new springs and strap if you are worried though. 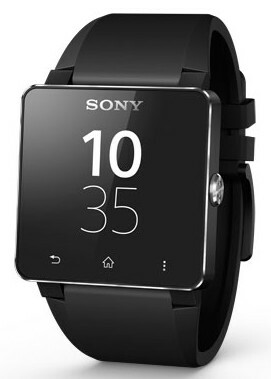 It looks pretty smart as well, with a neat silver trim around the square black watchface, styled to go with the Xperia range of phones. It’s not a dress watch by any stretch of the imagination but it looks a lot better than the Inspector Gadget everything-possible-on-your-wrist stylings of the Galaxy Gear, also unlike it’s main rival the Gear it was designed to work with any phone using Android 4+ and does work perfectly with my S3. It comes with a selection of ten (pretty boring) watchfaces built in, you can download more, but as they are technically apps they do tend to hammer the battery somewhat, Sony is due to release an update to the watch software very soon which should provide some more faces and functionality. It is waterproof to IP57 standard which will give you about 30 minutes at one meter depth, I have found that it works perfectly well in the shower, doing the washing up and bathing the kids. I haven’t actually properly dunked it yet, but I’ve heard from other owners that it stands up to water pretty well, it has a rubber cover to protect the USB socket from moisture, which although flimsy looking has stood up to use so far. This is a failure point however and it should be noted that if this does break off the watch is definitely not waterproof any more, perhaps a flap would have been better as there would be a much larger hinge to break. A watch is not much good if it doesn’t power on and the SM2 will see you good for 2-3 days of reasonable usage. I have seen mine reach nearly four full days before needing a charge but that was unusual. It normally charges in about an hour or so, so it’s not too arduous to keep it topped up. 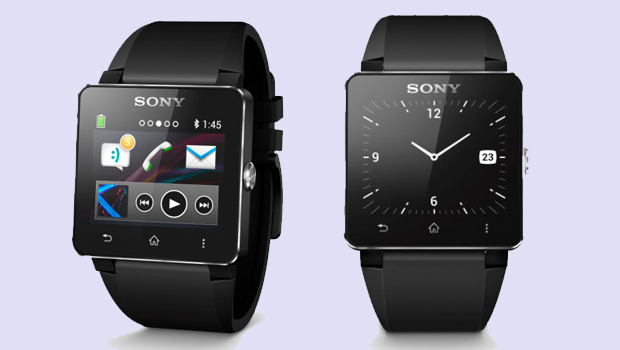 The watch connects to the phone using Bluetooth 3 which is a shame as version 4 utilizes a LE (Low Energy) mode which may have helped the battery life somewhat. It also has NFC onboard to make pairing to compatible devices quick and easy. 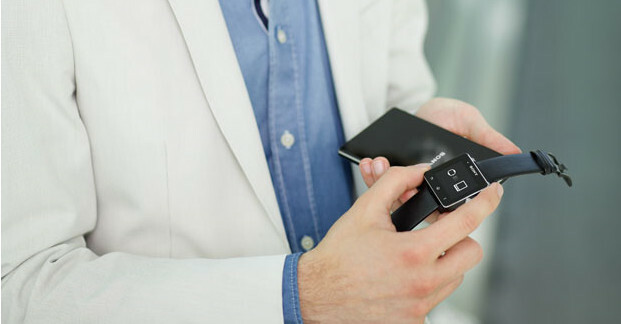 To connect it all you have to do is touch the back of the phone to the back of the watch and it immediately takes you to the play store to download the SmartWatch connect app, which when installed pairs the watch to the phone and should work straight away, it really couldn’t be easier. One of the downsides of Bluetooth is it’s limited range and this is where the watch falls down somewhat, if I leave the phone and go out of range, it disconnects as you would expect, when I go back into range it should then reconnect but often doesn’t. If I haven’t noticed that it has not reconnected, then it is very easy to miss notifications as I have now set the phone up to be mostly silent with most notification going to the watch. I have found that turning the Bluetooth off and back on again on the watch will generally reconnect it and it will then work as expected, this does only takes a second or two but is annoying to do especially if it happens more than once in a day. I hope that the upcoming update fixes this issue. Sony are very, very good at producing well built, striking hardware, it’s such a shame that they are so terrible at producing decent well written software. The SmartConnect software is clunky, doesn’t adhere to android design guidelines and, although it’s improved in the last update still crashes far too often. The software on the watch works well enough but still feels clunky and unstable, one of the most annoying aspects of this is the delay in seeing notifications sometimes, this is especially noticeable when someone rings, often I can have the phone out of my pocket and answered before the watch has registered the call. It has also completely crashed on me on more than one occasion, usually coming back within a minute or two with no after effects (all the apps etc are still on the watch and running) but, again it is very annoying when it happens. 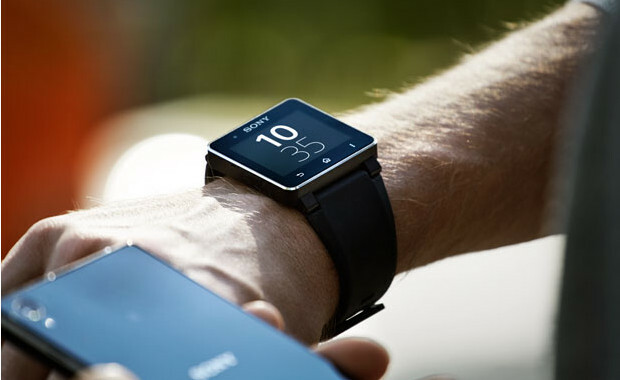 The watch doesn’t actually run any software itself, the apps for the watch known as “Smart Extensions” and are running on the phone piping their display to the watchface. This does mean that the watch loses all but timekeeping functionality if you don’t have the phone nearby, but as it was designed as a companion device this isn’t unexpected. 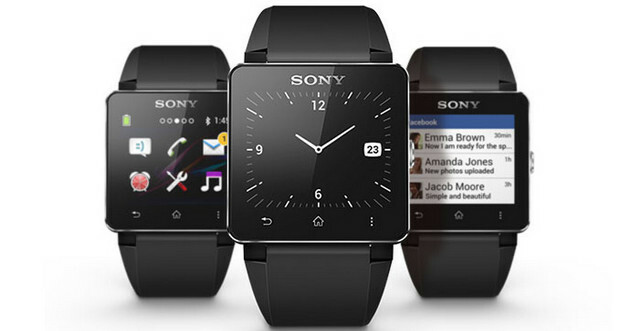 There is now a good selection of 3rd party apps for the SmartWatch some are quite excellent and very useful, most however are not, they are often pay version of apps you would find for free if it was for the phone. There are many apps that are just not thought through, for example the gmail app is unable to show html in emails limiting the useful info it can show, the Sony music app crashed every time I played music until I removed it and used the excellent SW2Play which works excellently and is well worth the 59p asking price. There is a fairly active developer community behind the SM2, and some very good and innovative apps like Remote Widget which is able to pipe the output from any widget to the phone screen, it works excellently after a bit of fiddling and very neatly fills in the gap left by some of the missing watch apps. In conclusion, I am still wearing and using my Smartwatch, it’s not the nicest looking watch, nor the most elegant, it’s battery life (for a watch) is pretty bad and it’s a lot more unstable than I would like, but as an early example of a platform that is set to explode this year, it is a very good one. It is genuinely useful to have notifications appear on a device that is so easy to glance at, the vibration function is very effective at not letting you miss notifications, as long as it is working. There will be more watches coming out next year from all sorts of manufacturers, some will be utilising Android Wear which has the potential to truly revolutionise the sector. 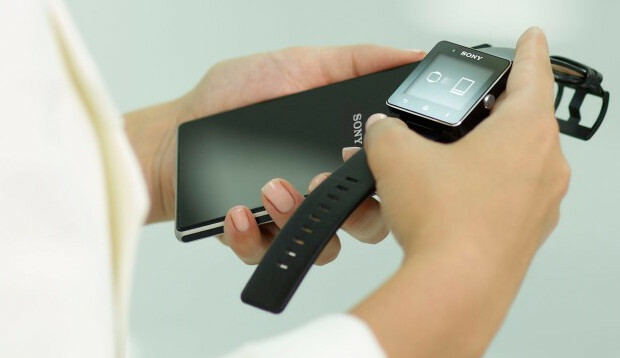 Sony’s effort is a good first (third) step, but there are going to be far more appealing devices appearing very soon. Good report and I think still relevant given the current interest in smart watches and the current SW2 price point. I like to add some of my experience: you can swim with the SW2, I have done so with no issues, but I have not tried salt water (no guarantees implied); in my normal use, the battery usage attributed to the phone screen is approx. 65% of total usage but when I partner the SW2 to my phone, the screen power usage goes down to 30%, this performance may vary for others but for myself it easily gets me through a full day on one phone charge; a useful app I use is Endomondo which takes basic info relayed from my phone and heart rate monitor, such as heart beats/min, distance and time travelled, this I found to be useful in my hikes.